If you have recently graduated, you may be looking with some horror at your bank account balance each month. We all head into college dreaming of the big bucks, but all too often we struggle just to earn a minimum wage even with an advanced degree. To add to the challenges, student loan debt is on the rise. In 2014, student loan debt totaled to an average of $28,950 on graduation. And just how much is the average individual making after graduation? The median annual individual income with a bachelor’s degree is $50,916 for men, and just $31,309 for women. Trying to get by on just around $30,000 a year (or less) is hard enough on its own, but when you add in all that debt, it can feel nigh impossible. It is no wonder that more and more Millennials are turning to robo-advisors upon graduation. What is a robo-advisor? It is a software suite which can provide you with customized financial advice and help you manage your investments. A robo-advisor is intended to take the place of a human advisor, something most Millennials simply cannot afford. While there are a lot of robo-advisors out there to choose from these days, the two we recommend most highly are Wealthfront and Betterment. Read a review of Betterment vs. Wealthfront. Here are some of the ways in which a robo-advisor can help you succeed financially after you graduate! High entry barriers are one of the biggest obstacles to investing for most Millennials. When you only have a few hundred or thousand dollars in your savings account, you obviously cannot afford to invest thousands or tens of thousands of dollars. Doing so would be financially irresponsible at best, impossible at worst. But obviously when it comes to investing, the sooner you can get started, the better things will be for you. When you start investing when you are young, you get to take advantage of compounding growth. Websites like Betterment and Wealthfront allow you to get started investing a very small amount (just $100). If you are relying on a human financial advisor to manage and monitor your investments, that person is going to have a finite amount of time. That means they are not going to be able to watch your investments 24/7. But when you go with a robo-advisor, the robo-advisor is able to literally watch all of your investments 24 hours a day, 7 days a week. You can too, since you can log in any time you want and view the up-to-date performance in your account. What if you have questions that require human assistance? Many robo-advisors do have human staff, and if you really need to, you can get a hold of a human financial advisor to help you out with any concerns you have and provide you with more detailed advice. 3. Use your money on investing, not fees. Human financial advisors are really expensive on the whole—it costs a lot to have your funds managed by somebody else. Despite this fact, studies of the performance of managed vs. non-managed accounts have not found any significant benefit to managed portfolios. With a robo-advisor, the overhead costs are a lot lower, and that translates to low fees for you. That means that you have more money which you can save or invest. More money back in your pocket is always a good thing! And if you do not have a lot of cash to begin with, it may mean the difference between being able to invest or not. 4. Enjoy access to an array of financial tools and calculators. A lot of robo-advisors not only help you to invest, but also provide you with a broad array of financial tools and advice. With their calculators, you can figure out how to manage other aspects of your personal finances. 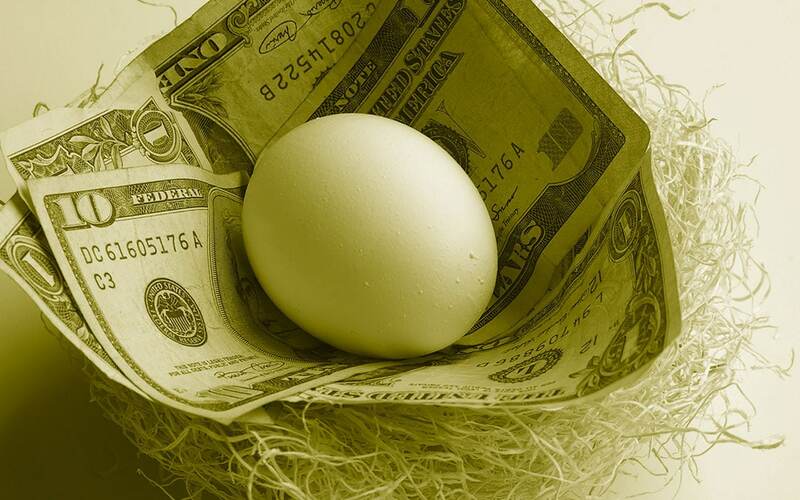 This means you can take a fully integrated approach to growing your nest egg.